Chassy has paid tribute to this iconic director with King of the Underdogs, a biographical documentary about the man and his deceptively simple vision. Avildsen was attracted to underdog stories. In his career, he directed seven actors toward Academy Award nominations and earned his own Oscar for Best Director. 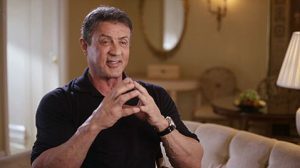 The documentary features never-before-seen interviews with Martin Scorsese, Burt Reynolds, Jerry Weintraub, Ralph Macchio, Talia Shire, Carl Weathers, and Sylvester Stallone, among others. Avildsen’s work on Rocky made Sylvester Stallone a star — and captured the attention of the world in 1976. The film’s underdog story took a strange turn toward reality when — at the 49th Annual Academy Awards — it stunningly beat out such heavyweight contenders as Network, All The President’s Men, Taxi Driver and Bound for Glory as the year’s best film. Avildsen’s win as Best Director that night was no small feat — his intense competition included Ingmar Bergman (Face To Face), Sidney Lumet (Network), Alan J. Pakula (All The President’s Men), and Lina Wertmuller (Seven Beauties). At the time, The Hollywood Reporter claimed that the film deserved to “make movie history.” It went on to be nominated for 10 Oscars (as mentioned, winning Best Picture and Best Director), and spawning one of Hollywood’s most successful film franchises. His other successful film franchise, The Karate Kid, starred Ralph Macchio and Pat Morita, who was nominated for an Academy Award for Best Supporting Actor. 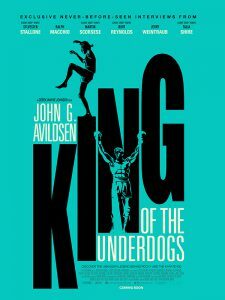 Its underdog story is often compared to Rocky (Alvildsen once called it “The Kar-Rocky Kid”). The first film was produced in 1984, spawning three successful sequels and a remake in 2010. Entertainment Weekly called the first film one of the top 50 best high school films of all time (#40). John Guilbert Avildsen was born on Dec. 21, 1935, in Oak Park, Illinois. He attended New York University and then assisted both Arthur Penn and Otto Preminger. His first film project on his own, Joe, about a racist factory work (played by Peter Boyle), was a critical and box office success. His next film, Save The Tiger, was also a commercial and critical hit, and earned Jack Lemon an Oscar for Best Actor. Not all of Avildsen’s films were successful, which contributes to his own underdog story. The Formula (1980), starring Marlon Brando and George C. Scott, was a notable failure, as was Neighbors (1981), with Dan Aykroyd and John Belushi. However, his use of charming characters, somewhat familiar storylines and sense of simple but universal truths have consistently proven his celluloid magic touch. Click here to preorder King of the Underdogs. Click here to discover more Chassy selections.